A little about me, the owner and founder of Loveliegh Weddings, Courtney Liegh. I am a wife, mom, and certified wedding planner based in WNY. I have been blessed to be a boy mom, dog mom and chicken mom. My husband and I were married August 15, 2015 at the beautiful Holiday Valley Resort in Ellicottville, NY. Most of the pictures I share on this website, and that are used as my feature images, were captured by Cortnee Stampone Photography at my own wedding. I hope to use my experience from planning my own wedding to help future couples plan the wedding of their dreams. 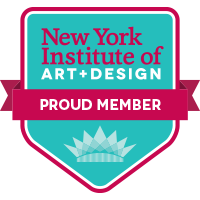 I am a certified wedding planner through New York Institute of Art and Design. I have spent the last couple of years studying my heart out, and working hard toward my dream of becoming a wedding planner. It has finally paid off! In my spare time I enjoy relaxing with my guys and our animals at our dream home in the quiet country. There is nowhere else that I would rather be! I can’t wait to share my wedding planning (and some life) adventures with you, and hope you enjoy!